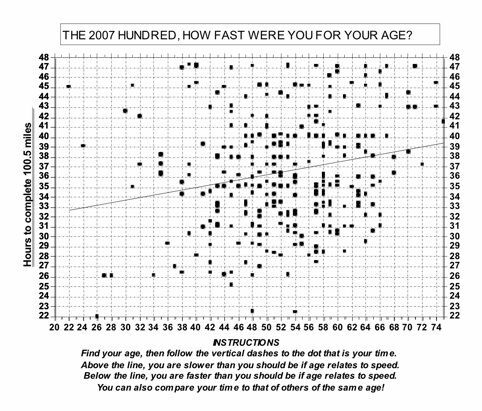 Peter Russell has plotted a table comparing the age of those completing the recent hundred with the time taken and performed a liner regression that identifies some slight correlation. Perhaps the most interesting (depressing?) feature is the small number of walkers under 40!